ABOUT THIS BIKE: ‘Old-school’ elegance and style! Its distinctive high front end and long adjustable quill stem make for an incredibly comfortable and nostalgic ride. Specified with straightforward low maintenance technology, the Tradition’s ride is further enhanced by the large volume tyres. 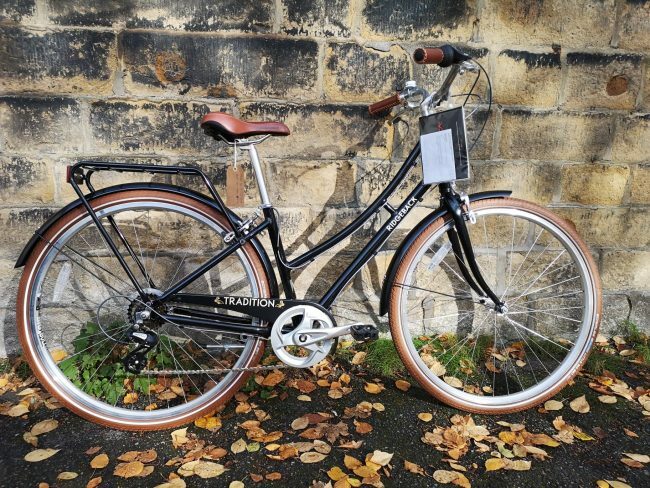 A Ridgeback Tradition is the perfect bike for traveling in elegance and style.